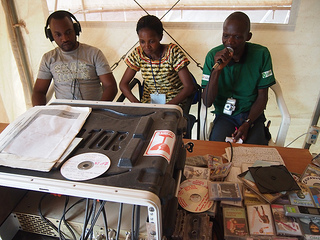 A look at media in the Democratic Republic of the Congo. Third Degree's Simon Unwin starts at ‘Party Like Papa Wemba’, an event hoping to raise funds for independent media collectives in West Papua and the Congo. He speaks with Mbuyi Tshielantende and Patrice Nyembo of the Congolese Community of Australia about the human rights and environmental abuses occurring in the Congo, and what it’s like to be a journalist there. Joining him in the studio is Journalist Shant Fabricatorian who was filing stories from DRC last year, and we hear a recent story he did with Claude Gatebuke Executive Director of the African Great Lakes Action Network, on Rwanda’s recent interventions in its western neighbour, Congo.